I received the Ring Video Doorbell from Hammacher Schlemmer in order to facilitate my review. All opinions are my own and may differ from yours. 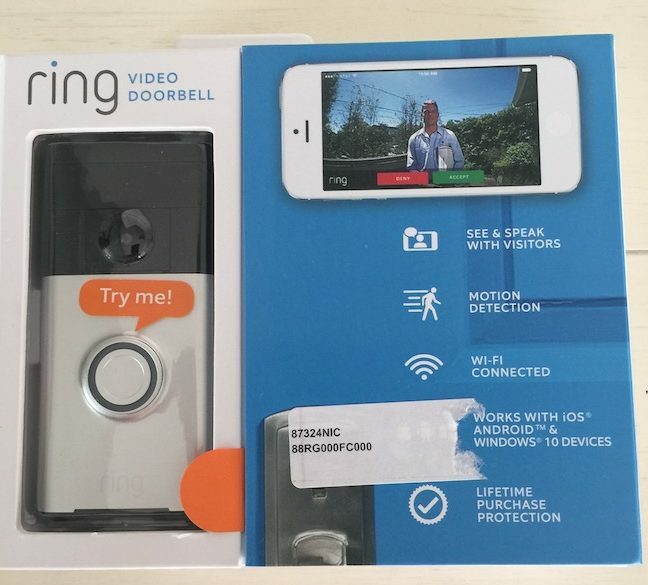 Never Miss a Visitor Again with Ring Video Doorbell! Have you ever been waiting on a package arrive all day, only to find you missed them! I know that has been me countless times! Generally it isn’t a big deal, but when you have been waiting for the package, and need to sign it, and you didn’t hear them knock. 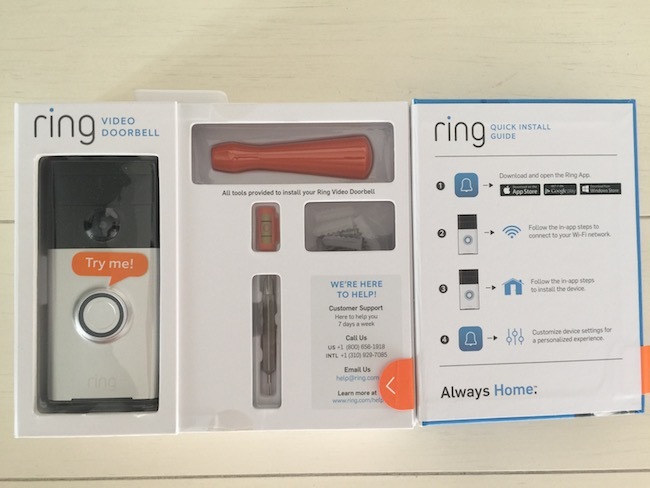 With Ring it makes it possible to never miss a package again! 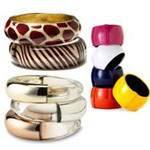 Ring streams video and audio using your home wi-fi, to your mobile device. 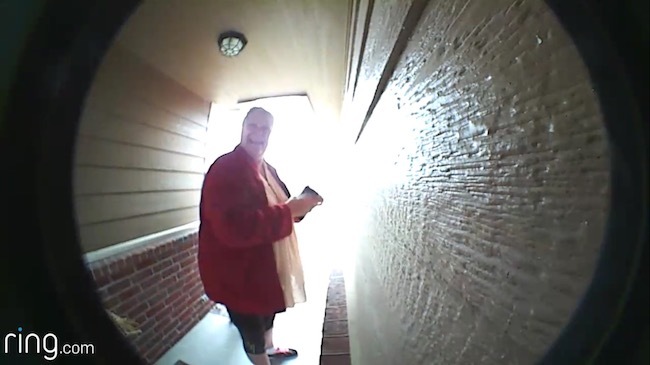 So when someone rings the doorbell, it will alert you with a video, of who is at the door! Cool, I know! 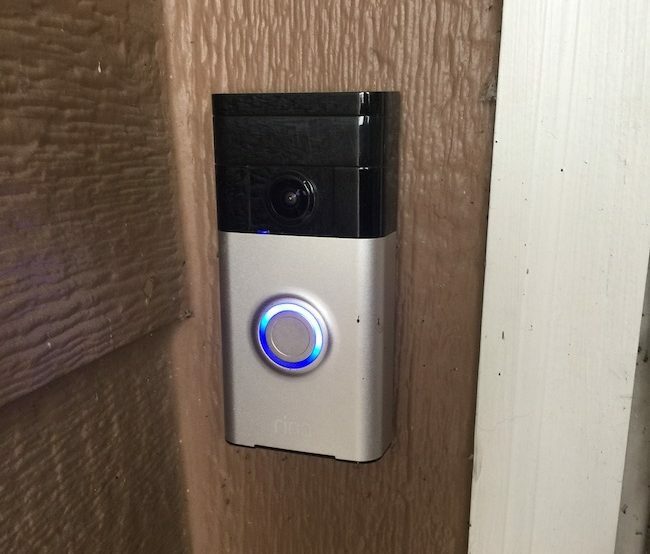 This is a great way to see who is at your front door, easily! You can even keep an eye on your property, because it has a wide view lens. So if you are at work, and curious you can look to see from the view of your front door. When someone comes to the door, you can even talk to the person at the door. This is great for when you are not at home. It alerts your phone, you can see who is at the door, and you can even say your in the bathroom or cooking, and can’t come to the door. It works really well at making people thinking you are at home, if you need to be! 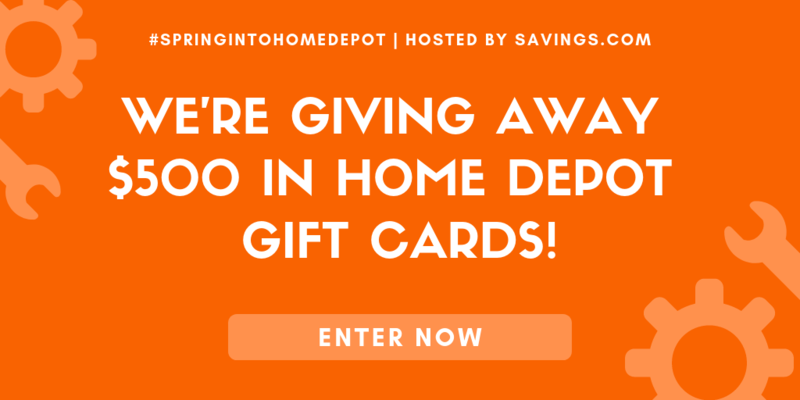 This is such a great item for every home owner to have, I highly recommend buying one! It has come in very handy for me, when we have visitors over. I love it if I am prepping a meal and my guest arrives, I can tell them to come on in, without having to come to the door! They have different options available to fit your household needs. Ring tested one neighborhood and in six months burglaries were down by 55%! That is huge, as you know your home can be broken into at anytime. Having a security system is a really great idea! Ring is pretty simple to use and get set up. In no time you can have it ready to go to protect and alert when anyone arrives and rings the bell!